"This is a fantastic step forward for health and any professionals that need a secure messaging solution. Especially if your staff are using WhatsApp without it being security approved." Connect with contacts in your address book or search for colleagues by name to start a conversation. Create groups instantly, start sharing photos, collaborate on cases with fast feedback. Use Hospify to keep in touch with colleagues and staff in different departments, hospitals or clinics. Anyone trusted with health information can use Hospify. All you need to get started is an email address. Hospify messages are sent using secure end-to-end encryption and are accessed using a 6-digit pin-code. This ensures that messages are secure on your phone or tablet and only you see your messages. 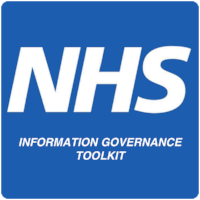 Hospify also has NHS IG Toolkit, ISO 27001, and complies with GDPR rules for handling patient information. The Hospify app is for free for health professionals and patients. Download it and send as many messages as you want for free, forever. Looking for more powerful messaging features for your clinicians or community? Our team platform, the Hospify Hub, is now available as a live beta. switching to secure and trusted messaging they can use at work.